From rock to pop, from casual to vintage, and from graphics to art. This is a completely new collection of lamps that speaks a multitude of languages, tells different stories and expresses an unmistakable style: the Diesel lifestyle. Ironic, unconventional, fun, fiery and creative. A way of being and of dressing that also becomes a way of furnishing. A new adventure that lets you customise your space, going beyond clichés and bringing your personality to light. 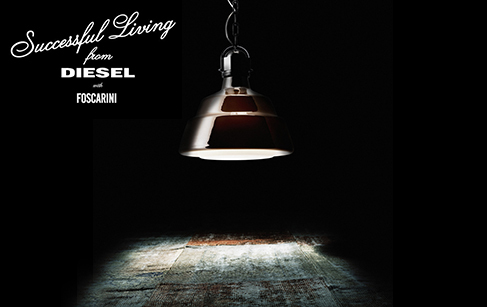 Hard as metal, soft as fabric, slim as a luminous cage, shiny as chrome-plated glass, but always unique and different: Successful Living from Diesel with Foscarini.